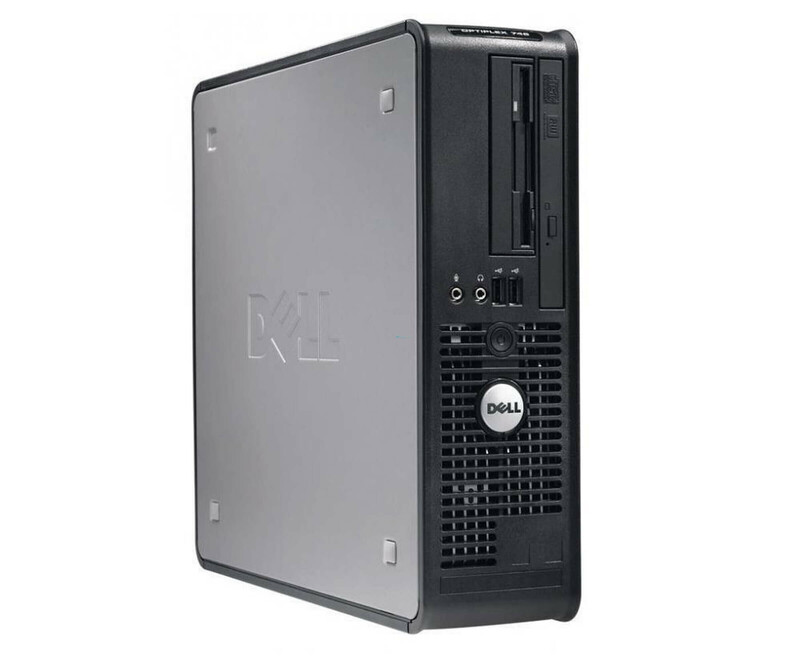 With the Dell Optiplex 745 DCTR, you will be inspired by a powerful and flexible desktop computer, which has many features. With the Dell Optiplex 745 DCTR, you will be inspired by a powerful and flexible desktop computer, which has many features. The used PC system, of course, works without restrictions and also allows for a wide range of extensions. If necessary, simply adapt the computer to your own requirements and use it at home or in the office. The Dell Optiplex 745 DCTR has an Intel Pentium D processor running at 3.2 GHz clock to ensure the required computing power. In addition, it has 4 MB cache memory and works closely with the Intel 945G chipset. The latter also contains the graphics unit. In the Dell Optiplex 745 DCTR, other components have been integrated. Therefore, the PC also has an onboard sound card, a Gigabit LAN adapter and a DVD-RW drive. The included 40 GB hard drive can be used directly to install an operating system. In order to benefit from a smooth multi-tasking, there is also 2 GB of DDR2 memory in the used computer. The PC system has numerous connections, which allow the use of various accessories. This includes seven USB ports, as well as an LPT and serial port. Audio jacks are equally available. However, you can connect a monitor to the computer system using DVI. no preinstalled OS, not Windows CDs and / or driver CDs.